Noorz Boutique is an online fashion boutique. Noorz Boutique offers trendy and in-style outfits. 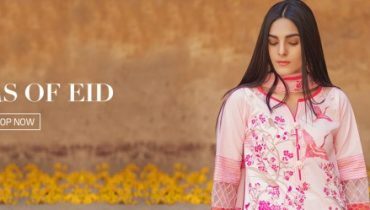 Noorz Boutique manufactures and offers three piece suits, and embroidered and ready to wear kurtis for women and girls. 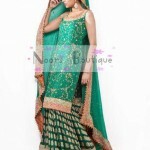 Noorz Boutique does not operate nationally only but also internationally. It enjoys the loyalty and lots of admirations of all of its local and international clients. As the Noorz Boutique is an online outlet, the delivery is open globally. It means that no matter where you live, if you like Noorz Boutique collection then just place your order and you will get your product at your doorstep. 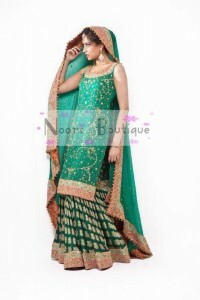 Noorz Boutique has recently launched their wedding season collection 2012. Noorz Boutique Wedding Dresses Collection 2012 is something to look forward for. We all know that now a days season is varying on daily basis. Some day it’s very sunny and another day it’s cloudy and windy. But we also know that this is the season of weddings. June July are the months when we all have at least one wedding to attend. Keeping this season in mind, Noorz Boutique has launched their latest collection. 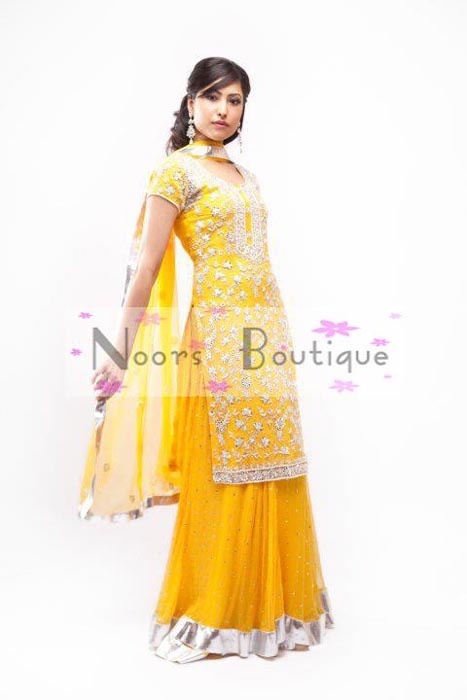 Noorz Boutique Wedding Dresses Collection 2012 has outfits for every ceremony and event like pithi, mehndi, nikah, and valima (reception). All the outfits in Noorz Boutique Wedding Dresses Collection 2012 are extremely pretty and colors used are just perfect. For mehndi dresses, green and olive green is used. For pithi, yellow and orange colors are used. And for reception red and purple colors are used. There are more colors than mentioned here. 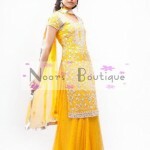 All the wedding dresses in Noorz Boutique Wedding Dresses Collection 2012 are traditional as well as modern. Many outfits have different color combinations as well. 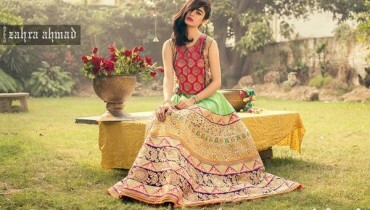 www.style.pk is attaching some pictures from Noorz Boutique Wedding Dresses Collection 2012 below. WE ARE PROVIDING YOU COURIER SERVICE FOR INTERNATIONAL & DOMESTIC AS WELL IN DISCOUNT RATE VIA DHL, SKY NET & FEDEX.